When we rise from our beds, we are each gifted with 1440 minutes to use as we choose. 1.) Plan a realistic agenda the night before. At the end of each day, look ahead to tomorrow and plan your tasks. Be realistic in how much you wish to accomplish. In other words, don’t bite off more than you can chew. You can always add tasks to your to-do list if you finish your work ahead of schedule. 2.) Complete your most important tasks first. When the day is done you can rejoice in the success of at least this achievement. 3.) Don’t multi-task! It makes you stupid. Really it does. Studies show that multi-tasking drops your IQ by as much as 10 points which is more of a drop than smoking marijuana. When you are doing deep work, turn off those distracting devices that compete for your attention. 4.) Say ‘NO”. 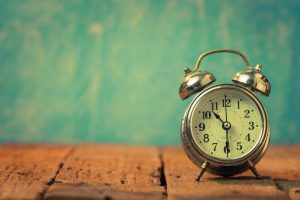 When you consistently say yes to everything it could be at the expense of your personal free time or valuable work time. Use discernment when adding items to your schedule. 5.) Make time for stillness. Quiet time is important for your overall health and work habits. Something as simple as a short walk or 5-minute meditation can awaken and recharge your brain enticing you to be more pleasant, peaceful and productive. 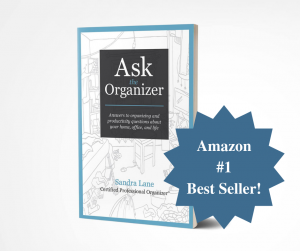 Ask the Organizer is an Amazon #1 Best Seller and NOW AVAILABLE IN PAPERBACK! The paperback version of Ask the Organizer: Answers to organizing and productivity questions about your home, office, and life is being released on January 31st! Be sure to get your copy or buy one as a gift that will be a great resource for many years ahead! You can find the book HERE. Additionally, Sandra will be at the Riverstone Book store at McCandless Crossing signing books and sharing her message of simplicity and productivity. Books will be on sale at the store.